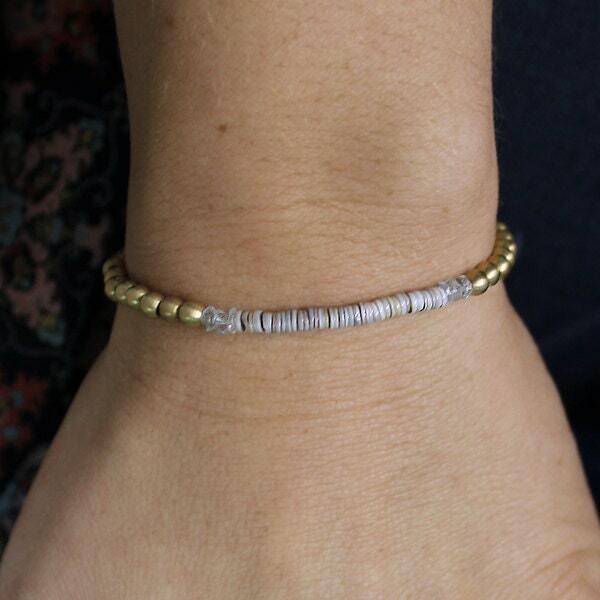 The Mermaid Bracelet is handcrafted in shell slices, faceted aquamarine rondelles and brass beads! 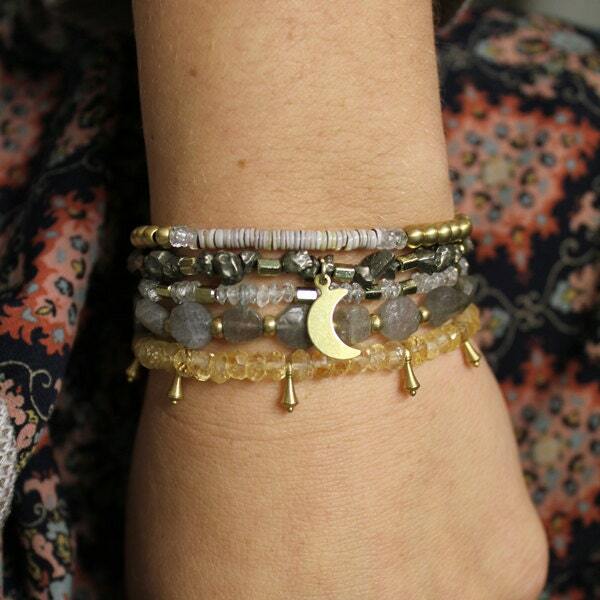 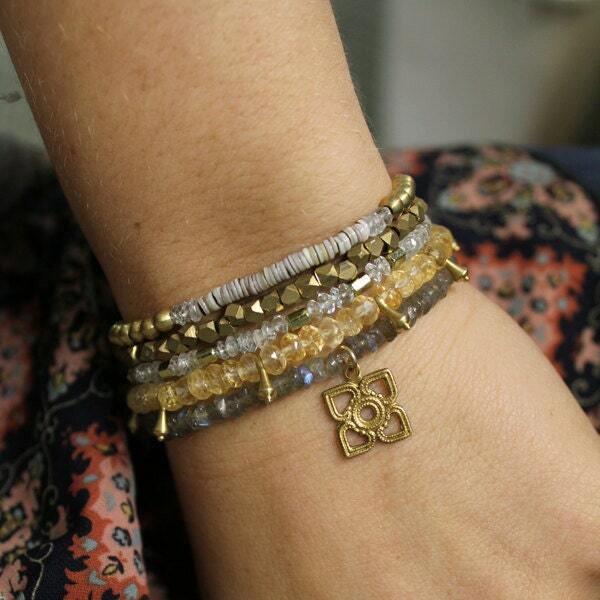 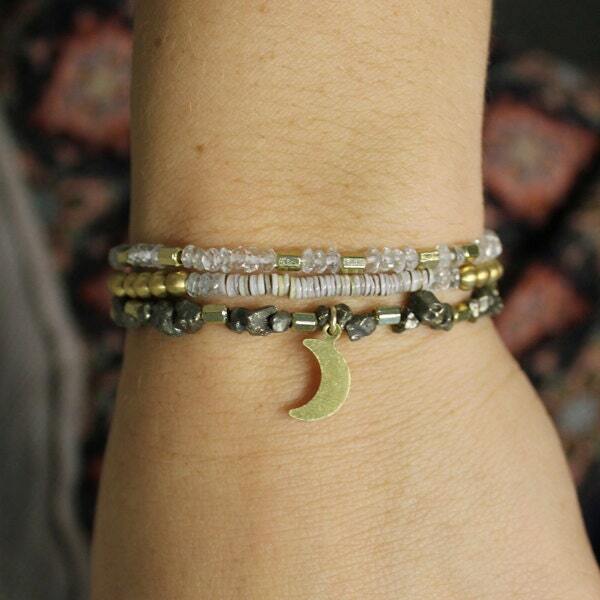 Wear one or stack them up for a bolder bohemian look! 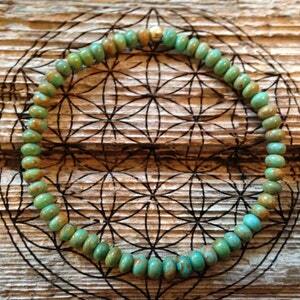 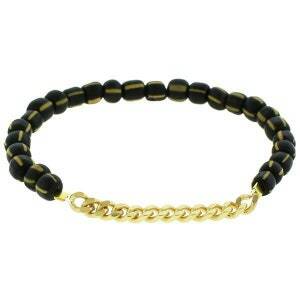 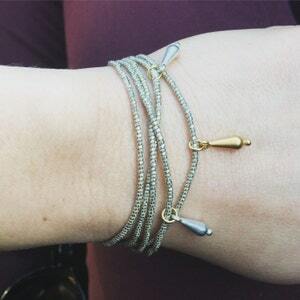 This bracelet is stretchy and fits most wrists, but can be altered upon request.